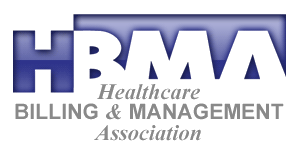 HBMA is committed to advancing the healthcare billing and management industry through advocacy and by providing education, information and other valuable resources to its members while promoting high ethical and professional standards. Over the past decade HBMA has responded to the many challenges facing our industry. Technology now rules the world of medical claims processing and HBMA is central to not only managing the adjudication of claims, but the rules that govern the process. AAPC was founded in 1988 to provide education and professional certification to physician-based medical coders and to elevate the standards of medical coding by providing student training, certification, ongoing education, networking, and job opportunities. Since then, AAPC has expanded beyond coding to include training and credentials in documentation and coding audits, regulatory compliance, and physician practice management. InstaMed simplifies every healthcare clearinghouse and payment transaction for providers and payers, all in one place. InstaMed enables providers to collect more money, get paid faster and reduce the time and costs to collect. InstaMed allows payers to cut settlement and disbursement costs with electronic payments. InstaMed’s single, integrated network simplifies the healthcare payments process for 1,500+ hospitals, 60,000+ practices/clinics and 100+ billing services; connects to 3,000+ payers; and integrates with 50+ practice management systems. InstaMed processes tens of billions in healthcare payments each year at a rate of more than $1,000 per second. Physician Practice Specialists or PPS, was founded in 2008 and is exactly what it implies, a group of practice management executives/specialists who have come together to help organizations as they attempt to grow & develop in this increasingly volatile healthcare climate. We are committed to providing the highest quality, personalized services that take the guesswork out of running and growing your business. Medical Insurance Billing and Coding Program: At Everest College in Woodbridge, Va., our goal is to "Change Our Students' Lives." We plan to do this by providing you with quality career training that teaches you the necessary skills you need to launch your new or second career. But career training is only part of what you'll find here at Everest College in Woodbridge. We take our responsibility to create a safe environment that allows you to experience personal and professional development seriously.